Relating to first-time and second chance home buyers; to establish a first-time and second chance home buyer savings account; and to allow a tax deduction for contributions made to the account and a tax exclusion on earnings from the account to provide qualified first-time and second chance home buyers with meaningful incentives to save funds for the purchase of a first home in Alabama. Short Title. 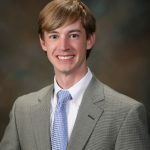 This act shall be known and may be cited as the "Alabama First-time and Second Chance Home Buyer Savings Account Act." Legislative Declaration. The Legislature recognizes that saving for the purchase of a first home is very challenging in today's economy. The Legislature declares that first-time and second chance home buyer savings accounts provide an opportunity for Alabama residents to save funds for home ownership. The first-time and second chance home buyer savings account program is intended to enable first-time and second chance home buyers in Alabama to plan for and utilize a tax incentive to save funds for a down payment and closing costs for the purchase of a first home in Alabama. Definitions. As used in this act, the following terms shall have the following meanings: HB248 (1) ACCOUNT HOLDER. A first-time and second chance home buyer who establishes, individually or jointly with another first-time and second chance home buyer, a first-time and second chance home buyer savings account. (2) ALLOWABLE CLOSING COSTS. A disbursement listed on a settlement statement for the purchase of a single-family residence in Alabama by a first-time and second chance home buyer. (3) DEPARTMENT. Alabama Department of Revenue. (4) ELIGIBLE COSTS. The down payment and allowable closing costs for the purchase of a single-family residence in Alabama by a first-time and second chance home buyer. Eligible costs do not include any costs incurred prior to the establishment of a first-time and second chance home buyer savings account. (5) FINANCIAL INSTITUTION. Any bank, trust company, savings institution, industrial loan association, consumer finance company, credit union, benefit association, insurance company, safe deposit company, money market mutual fund, or similar entity authorized to do business in Alabama. (5) FINANCIAL INSTITUTION. Any bank, savings institution, industrial loan association, credit union, or other similar entity authorized to do business and accept deposits in Alabama. HB248 (6) FIRST-TIME AND SECOND CHANCE HOME BUYER. An individual who resides in Alabama and has not owned or purchased, either individually or jointly, a single-family residence during a period of three five ten years prior to the date of the purchase of a single-family residence. (7) FIRST-TIME HOME BUYER SAVINGS ACCOUNT or ACCOUNT. An account with a financial institution created for the purpose of payment or reimbursement of eligible costs for the purchase of a single-family residence in Alabama by a first-time and second chance home buyer and designated by the financial institution upon its creation as a first-time and second chance home buyer savings account. (8) SETTLEMENT STATEMENT. The statement of receipts and disbursements for a transaction related to real estate, including a statement prescribed under the Real Estate Settlement Procedures Act of 1974, 12 U.S.C. 2601 et seq., as amended, and regulations thereunder. (9) SINGLE-FAMILY RESIDENCE. A single-family residence owned and occupied by a first-time and second chance home buyer as the first-time and second chance home buyer's principal residence, which may also include a manufactured home, trailer, mobile home, condominium unit, or cooperative. Establishment and Use of First-time and second chance Home Buyer Savings Account. HB248 (a) Beginning January 1, 2019, a first-time and second chance home buyer may open an account with a financial institution designated in its entirety by the financial institution as a first-time and second chance home buyer savings account. (b) Funds from a first-time and second chance home buyer savings account may be used only to pay a first-time and second chance home buyer's eligible costs for the purchase of a single-family residence in Alabama. (c) A first-time and second chance home buyer may jointly own a first-time and second chance home buyer savings account with another first-time and second chance home buyer if the joint account holders file a joint income tax return. (d) Only cash and marketable securities may be contributed to a first-time and second chance home buyer savings account. Subject to the limitations of Section 7, persons other than the account holder may contribute funds to a first-time and second chance home buyer savings account. There is no limitation on the amount of contributions that may be made to or retained in a first-time and second chance home buyer savings account. Responsibilities of financial institutions. HB248 (a) A financial institution shall be required to do the following: (1) Create a new account for the first-time and second chance home buyer and designate the account as a "first-time and second chance home buyer's savings account" on records and transactional statements related to the account. Only the funds deposited into this account shall be eligible for the first-time and second chance home buyer savings account deduction under this act. related to the account. (2) Provide the account holder with a detailed account statement relating to the first-time and second chance home buyer's savings account on a yearly basis. (b) A financial institution shall not be required to do any of the following: (1) Track the use of money withdrawn from a first-time and second chance home buyer savings account. (2) Allocate funds in a first-time and second chance home buyer savings account between joint account holders. (3) Report any information not otherwise required by law to the Department of Revenue or any other governmental agency. (c) A financial institution is not responsible or liable for the following: HB248 (1) Determining or ensuring that an account satisfies the requirements to be a first-time and second chance home buyer savings account. (2) Determining or ensuring that funds in a first-time and second chance home buyer savings account are used for eligible costs. (3) Reporting or remitting taxes or penalties related to the use of a first-time and second chance home buyer savings account. (c) Upon being furnished proof of the death of the account holder and any other information required by the related to the death required by the financial institution or contract governing the first-time and second chance home buyer savings account, a financial institution shall distribute the principal and accumulated interest or other income in the account in accordance with the terms of the contract governing the account, or as otherwise required by law. Deduction of Contributions, Exclusion of Earnings, and Limitations. (a) Except as otherwise provided in this act and subject to the limitations under this section, a first-time and second chance home buyer savings account holder shall be entitled to a state tax deduction, subject to the limitations of this section, not to exceed six thousand dollars ($6,000) five thousand dollars ($5,000) for an account holder who files HB248 an individual tax return or twelve thousand dollars ($12,000) ten thousand dollars ($10,000) for joint account holders who file a joint tax return, for contributions made by the account holder to a first-time and second chance home buyer savings account during the tax year in which the deduction is claimed. (b) Except as otherwise provided in this act and subject to the limitations under this section, earnings from the first-time and second chance home buyer savings account, including interest and other income on the principal, shall be excluded from taxable income of an account holder for Alabama income tax purposes during the tax year. (c) An account holder may claim the deduction and exclusion under this section as follows: (1) For a period not to exceed five years. (2) For an aggregate total amount of principal and earnings not to exceed thirty thousand dollars ($30,000) twenty-five thousand dollars ($25,000) for individual accounts and sixty thousand dollars fifty thousand dollars ($50,000) for joint accounts during the five-year period. (3) Only if the principal and earnings of the account remain in the account until a withdrawal is made for eligible costs related to the purchase of a single-family residence by a first-time and second chance home buyer. (d) A person other than the account holder who deposits funds in a first-time and second chance home buyer HB248 savings account shall not be entitled to the deduction and exclusion provided under this act. (e) Any funds in a first-time and second chance home buyer savings account not expended on eligible costs by December 31 of the last year of the five-year period beginning with January 1 of the tax year in which a deduction was first claimed under subsection (a) shall thereafter be included in the account holder's taxable income. (f) The deduction and exclusion from taxable income provided by this act shall apply to any alternative basis for calculating taxable income for Alabama income tax purposes. (g) The funds in the first-time and second chance home buyer savings account shall not be used to purchase a single-family residence outside of this state. (h) The provisions of this section shall terminate five years from the effective date of this act for first-time and second chance home buyer savings account holders not currently claiming the deduction and exclusion under this section, unless extended by an act of the Legislature. Penalty for Withdrawal for Purpose Other Than Eligible Costs. Except as otherwise provided in this section, if the account holder withdraws any funds from a first-time and second chance home buyer savings account for a purpose other than eligible costs for the purchase of a HB248 single-family residence in this state, the following shall apply: (1) The entire balance of the fund, including interest and other income on principal, shall be included in the account holder's taxable income for the tax year in which the withdrawal was made. (2) The account holder shall pay a penalty to the Department of Revenue equal to 10 percent of the amount withdrawn. The penalty shall not apply to funds withdrawn from an account which were: a. Withdrawn by reason of the account holder's death or disability or due to employment after the account holder has exhausted his or her applicable unemployment compensation benefits. b. A disbursement of assets of the account pursuant to a filing for protection under the United States Bankruptcy Code, 11 U.S.C. § 101 et seq. (3) Subdivisions (1) and (2) do not apply to funds withdrawn or distributed from a first-time and second chance home buyer savings account that within sixty days of their withdrawal or distribution are deposited in full into another first-time and second chance home buyer savings account. This subdivision shall apply both to transfers between any qualifying first-time and second chance home buyer savings accounts whether such transfers are to or from qualifying HB248 individual or joint accounts. The timely transfer of funds from a first-time and second chance home buyer savings account to another first-time and second chance home buyer savings account in accordance with this subdivision shall not alter the time limitations set forth in subsection (e) of Section 7. March 22, 2018 H Forwarded to Governor on March 22, 2018 at 2:22 p.m. on March 22, 2018. March 22, 2018 H Assigned Act No. 2018-467.